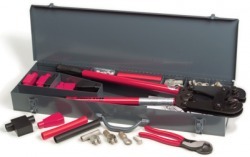 We not only have standard length cables for connecting batteries to starters and other batteries BUT we have the tools and expertise to custom make battery cables to your specifications. And, if you want to be like us we can sell you the tools to make your own cables. All cables meet or exceed SAE and OEM specs. Click logo to see catalogue of battery cables. 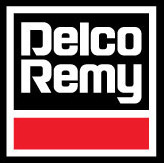 Plaza Fleet Parts is backed by Delco Remy supplying starters and alternators. CLICK HERE to see why Plaza has picked another supplier with the highest quality remanufacturing process. Exide Technologies is the manufacturer for our batteries. CLICK HERE for information from Exide on choosing your batteries. 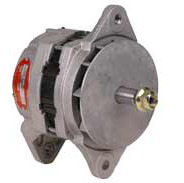 Cole Hersee Co. has been manufacturing reliable electrical control devices since 1924.